In the Datasets area right-click on a DataSource and select Add. 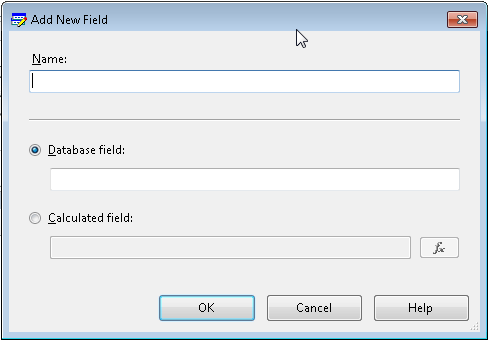 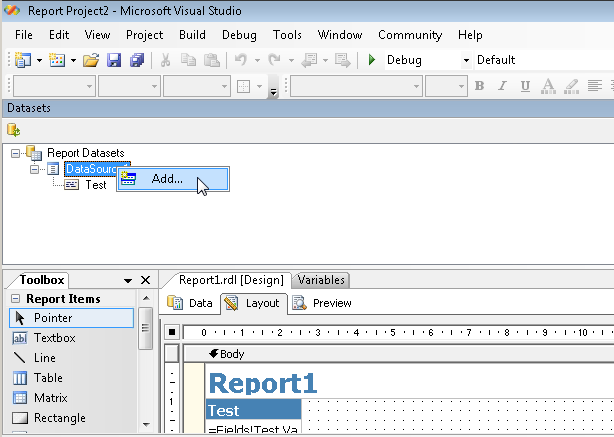 Enter in the Name of the new field and the Database field or Calculated field. 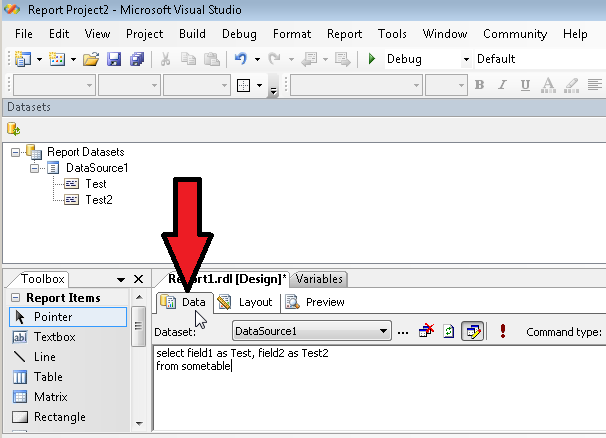 Then we need to update the tie between the Dataset and SQL Server by clicking on the Data tab and selecting our Dataset in the dropdown and updating the query.